The aim was to educate many of my clients and thousands of others like them in business about the how, what and why of Social Media. In doing so I defined a Grumpy Old Manager and gave myself the title of Grumpy Old Managers’ Guide. As someone who would on the grounds of age, background and disposition probably qualify as a GOM I thought it appropriate to become a guiding light in the new Digital Age. 2. Those in most need of the advice are still sadly in need. But one thing has changed in my focus …. it’s not all about Social Media and its application to your specific business or even choosing the right bits of Social Media it’s about harnessing all the tools available now and leveraging them to the max. In an upcoming post I will explain it’s no longer about A or B in decision making on how best to promote your business and increase revenue and sustainable profitability (I assume that’s why you want to promote your business anyway) its about A + B + C + …. 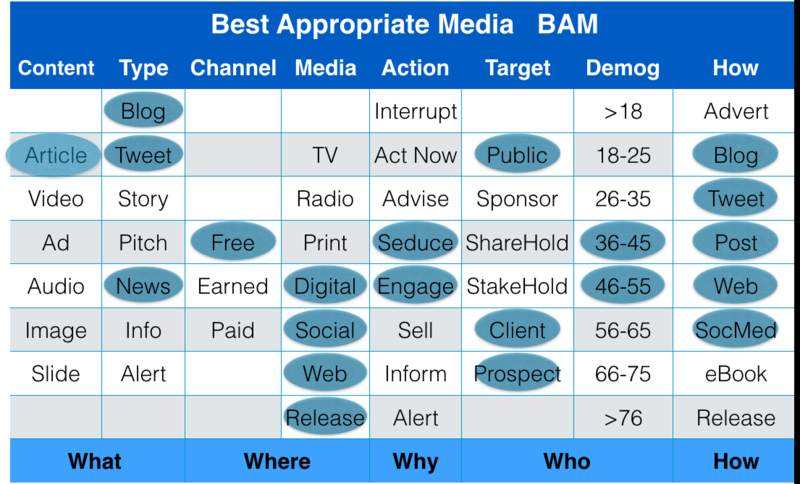 With the ability to rapidly deploy and test strategy using digital media you can now choose a range of inexpensive options and test which suit your business goals best ….. You may well find it’s a combination of both. As such the next book will focus on Marketing and Selling in the Digital Age and leveraging the new tradition of book writing. I will be looking for lots of feedback before I finish the book rather than write it and find out I got it wrong. These days it’s possible to write a book cooperatively by developing the structure and a few headlines and have the potential readers fill the massive gaps between. I will be adding much more substance that that though! When you think how much content is developed daily in the form of emails, blogs, Twitter, FaceBook updates, Pinterest, YouTube etc etc it’s easy to believe that we are now producing in 48 hours what once tool centuries. Of course the big difference in the past 10 -15 years is that we are all producing vast amounts of information day in day out ….why??? Because we can! 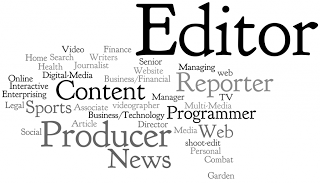 Not that long ago we consumed Print, TV, Radio etc but now its become a two way street with Blogs, YouTube and Podcasts turning anyone who wants into a Publisher and almost everyone into a producer of some kind. 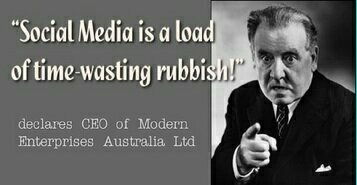 But if we are producing media for a purpose and want to be seen, create awareness and build interest it is important not to be lost in the babblespere out there. To do this I believe there are two keys rules. Once upon a time a picture was worth a thousand words now it must be worth a million words in a world where reading is a luxury. People are trying to absorb so much info these days we must make it east for them and a visual can be the best approach. Personally I love Infographics as they can convey so much ….but there are many other form of visual communication…. Pinterest is a classic example of this. When I plan a blog I start with finding a picture that tells the story and then develop a catchy headlines. Now I plan to use that headline and picture as a pointer to my blog from Facebook for example. Find whatever works for you in terms of Visuals and use them to tell you story effectively. I will cover this more in an upcoming post on Visual Communications..
…….It can certainly help prime the pump and build a social media marketing engine. TV can provide the reach to develop the interest that can lead to the engagement we all want from Social Media. Many people think TV advertising is too expensive…but its not if used well and while many people in business know Internet can be cost effective they dont know how to generate traffic to their site….so why not combine TV and the Social Web backed by simple analytics to get max effectiveness. We have all seen the way TV shows are harnessing Twitter to create conversations between viewers, Facebook to build 24/7 engagement with viewers and YouTube to provide promos and highlights to the masses. Now thy have specialist Social Media platforms like Fango enhancing websites to build interactivity with viewers. Also those of us with kids in their teens and twenties know that TV, Facebook and Twitter can all be used in sync without missing a beat. So how can we use this knowledge to build business for your SME. Recently working with our client Property Asset Planning we developed a campaign, to develop direct sales for a new product offering, which provides a good example of what can be achieved. We are ensuring that not only do we reach a broad market but we also make sure our client’s past and current clients are kept well informed and encouraged to talk to friends and colleagues about the campaign. In addition to an innovative advertising campaign we have implemented a Social Media strategy to streamline our communications and are now implementing a new Customer Relationship Management System to ensure the best possible service levels are maintained. The first step in reaching the market was to develop the NRAS 4 SA website and associated Facebook, Twitter and Blog presence. This was followed by developing a TV ad which gets across the NRAS message very clearly and points people to the website for more information. This ad is very effective and very simple (as you will see below) but delivers one Message and one Call to Action — “Find out the Facts Now”… go to http://www.nras4sa.com …with that web address on screen for the entire commercial. We decided to run a month long trial on Channel 10 as they had programming that matched our demographic and delivered the flexible approach that we were looking for. Suffice to say running the ads in about 30 spots (no more than 3 a day) for one week and then repeated after a weeks break – the results were impressive. Total costs for this month’s air time was less than $5,000 because of the mix of programs chosen (some spots costing as low as $20 with a max of $250) and the use of 15 and 30 secs ads throughout for maximum effectiveness. The Google analytics were checked after each ad aired to judge effectiveness and programming for week two adjusted accordingly. Each day the ad ran we had between 80 and 150 extra hits which resulted in 4 – 8 emails per day with about half including the optional phone number. More than 50% resulted in meetings and most of these in home presentations which resulted in sales ….bearing in mind the average sale is well in excess of $300,000. We then committed to a further three months…to see if the results continued …..suffice to say the campaign has now been running for 6 months and the sales made so far comfortably exceed the total sales for the whole of last year……in tough economic times. Each week we prepare a report that shows hits by day along with emails and appointments made this goes to our very helpful account manager at 10 who makes sure we continue to use our budget (which has doubled now) as effectively as possible. One thing we have learned during the six months is the importance of a true mobile site. 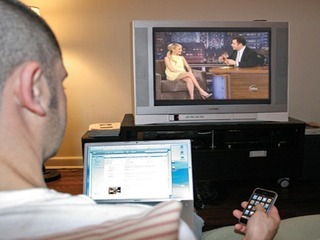 When the first ads aired about 20% of hits came from mobile devices while people were watching TV. That has now grown to 25% steadily and we have now developed a true mobile site (plus an app soon) to ensure People Find Out the Facts and can easily get in contact via email or phone. There are many further aspects to the campaign to be implemented (inc Radio, Facebook, LinkedIn etc) but a shortage of stock and new staff to cope with the demand have meant less than 50% of the campaign has been implemented. In June we bolstered campaign with Cinema screen ads but have found from our web analytics our ad is not having much impact …as such our Creative Team are developing a new ad that will have poeple in Cinemas take notice and act ….stay tuned for more. Our main focus will be on Digital Media with the traditional media being used to draw attention to our website, Facebook and Twitter presence. We will use our online “sites” to engage and educate our clients and encourage them to reach more people with the NRAS message by sharing the information we develop. A Newsletter campaign is now engaging past and current clients with a Call to Action that encourages sharing content with friends and colleagues that they believe would beneft form Finding out The Facts about NRAS. Theya re encouraged to join our Facebook community for the latest news and views whilst also learning from and converse with others with interest in NRAS. A great example of the impact of the campaign and the people sharing the message with friends and family came recently from the Nicdoa family. The saw the ad on Channel 10 on Monday and signed a contract by the following weekend. Then they told everyone they knew about NRAS…. The result – they arranged a seminar at their home for a dozen people and invited Brian Chant from Property Asset Planning to present the NRAS story. “it was such a good opportunity to build for the future we had to share it with everyone we know.” said Mr Nicdoa. Now Twitter is being used to send instant and up-to-date information such as latest stock availability and alerts. And there is much more to come on this developing story. Government 2.0 – I this the future?? Based on a meeting I attended this week for briefing from a major State Government Dept re an RFI they have issued to develop a smart information system to better inform their customers…. I see an emerging new approach to doing business within Govt. I am calling it Govt 2.0 as like Web 2.0 etc its about engagement and an open, honest two way communication rather than burying themself in budget constraints and red tape. Firstly they want to undertake a project that will cost millions and deliver better service to their customers (ppl who catch buses) and grow their base of customers as a result of this good service. Secondly, they have no budget for this project but are determined to find a way to deliver it for the people who use their services. Thirdly, they recognise that they don’t have the skills and expertise needed and that they need to work with business ,….. but in doing so business must make a profit. Of course there is a driving force for all of this …. the lack of money available and the culling of people … They need to find new ways or do as Govt did in the past …cut service levels and/or increase costs and charges. They believe the way to deliver this network that will engage, educate and entertain their customers is two fold … deliver Branded content (that is ads that support the community services messages and info) and sell direct to the public relevant services and products via that network (eg Internet service, downloads (books, music etc) to the traveling or waiting consumer. But even more enlightening is that this commercial model is in sync with the advertising trends we see .. that is ads that go with the content .. and ads that can deliver direct online sales…..
Whilst they know what they want they have no idea what it looks like and how to fund it with ads etc … That challenge they have put out to the market. And they have given plenty of scope. The closing words were “we have lots of infrastructure and assets that can be used to promote products and services… ….. and we are here to trade”. You tell us what you can use and how you can use it to deliver this project and we will find a way to do it was the message that came across loud and clear. 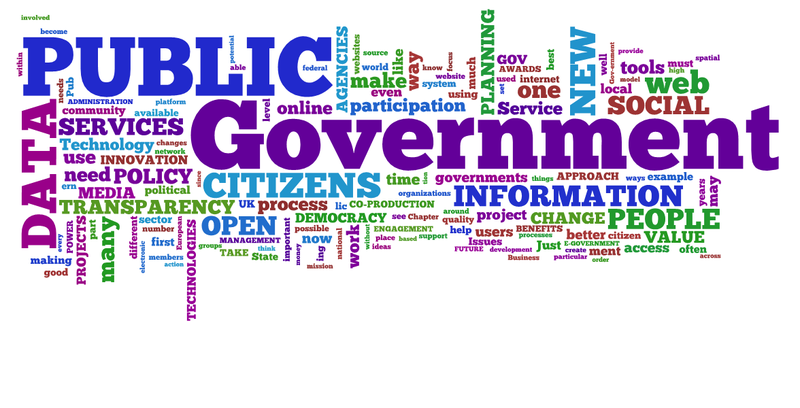 Government 2.0 in terms of open transparent commercial collaboration is heading our way …. at long last!! Business bow has a challenge we never imagined …how to turn assets of the Govt into cashflow.